Caving as a sporting activity, as opposed to the use of caves as dwellings, started back in the 1800’s when a few adventurous people began to venture underground with rope ladders and bicycle lamps. Nowadays, several thousand people follow in their footsteps using purpose made equipment drawn by the thrill and excitement of exploring a different world. 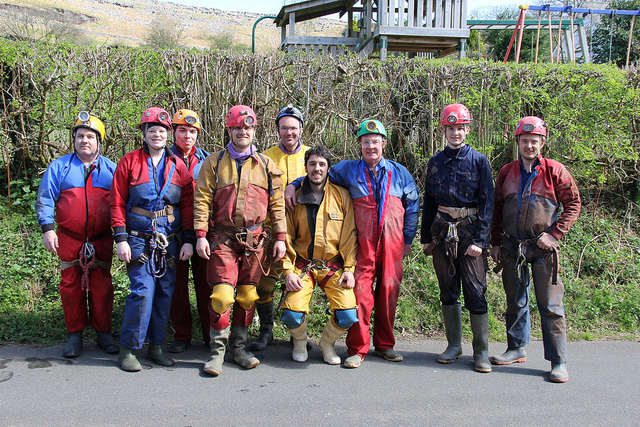 The four main caving areas in the UK are the Yorkshire Dales, the Derbyshire Peak District, the Brecon Beacons in South Wales and the Mendip Hills in Somerset. Between these areas, Britain can boast a wide range of wet and dry caves, long vertical pitches, tight squeezes and beautiful formations. The email address given under ‘CONTACT US’ automatically transfers to the Course Coordinator. If he isn’t able to deal with the matter himself, he will forward your email to whoever is the right person to deal with your inquiry.